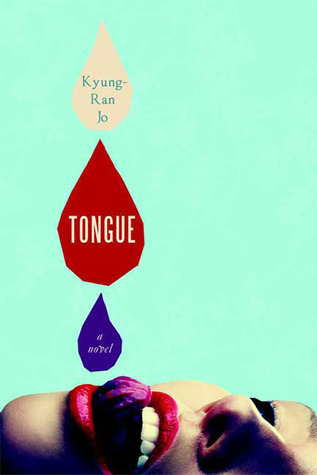 Emotionally raw and emphatically sensual, Tongue is the story of the demise of an obsessive romance and a woman's culinary journey toward self-restoration and revenge. When her boyfriend of seven years leaves her for another woman, the celebrated young chef Jung Ji-won shuts down the cooking school she ran from their home and sinks into deep depression, losing her will to cook, her desire to eat, and even her ability to taste. Returning to the kitchen of the Italian restaurant where her career first began, she slowly rebuilds her life, rediscovering her appreciation of food, both as nourishment and as sensual pleasure. She also starts to devise a plan for a final, vengeful act of culinary seduction. Tongue is a voluptuous, intimate story of a gourmet relying on her food-centric worldview to emerge from heartbreak; a mesmerizing, delicately plotted novel at once shocking and profoundly familiar. I really wanted to love this story. It’s a relatively short book at only 212 pages, but it wasn’t one of those books I could easily read in one or two sittings. There just wasn’t enough there to really draw me in and engage my emotions. A well-known young chef mourns the loss of her 7-year relationship. She loses her desire to cook, to eat, and even her sense of taste. Gradually, she starts to put her life back together and returns to the Italian restaurant where she started her career. This is more difficult than it sounds, as she is still obsessed with her ex-boyfriend and is unable to completely let him go. It's well-written, but the passion and intensity was missing for me. I expect a book that explores the life of a woman grieving a failed relationship and where food is such a significant part of the story to overwhelm my emotions and senses. The main and secondary characters are very distant. The food is well described, but I couldn't taste or smell it. The boyfriend is hardly described at all. What little I knew of him, I didn’t like and couldn’t understand why the chef was so obsessed with him. Even the conclusion failed to disturb or elicit much emotion. Still, it's rather unusual and I'm not sorry I read it.